Having just emerged from the worst crisis ever experienced in the history of Cote d'Ivoire—the chaos and civil war that has wracked the country for the past twelve years—there is no doubt that the speed and success of that country's recovery will largely depend on the dynamism of one businessman: Jean Louis Billon. The son of Pierre Billon, founder and chairman of the board of the SIFCA Group, and CEO of SIFCOM, it comes as no surprise that Jean Louis succeeded his father as head of these companies. What is surprising, however, is the extraordinary leadership and management skills that the son has brought to them, and even more importantly, the dynamic role that he has taken on in the broader economic and political life of Cote d'Ivoire. It is said that Jean Louis Billon has an electric personality: casting sweetness and light to many people, but found to be shockingly direct by others. He has never been afraid to speak truth to power, no matter whom it angers—and the truths he most enjoys speaking out on are those that expose the obstacles to attracting investment to, and doing business in Cote d'Ivoire. Born in 1964 in the town of his father, Dabakala in central Ivory Coast, he received his early primary and secondary education in Abidjan, and began his college years at the College Moderne. By his second year of college, however, he left to pursue his studies in France, where he received a Master of Business Law at the University of Montpelier. He then moved to the United States to perfect his English, and to receive a second Masters Degree, in international business, from the University of Florida in Miami. It was while in Florida that he met his future wife in 1992, Henrietta Gomis, whom he married in 1994, at the age of thirty. Jean Louis Billon's professional business career began with Grace Cocoa in Milwaukee, Wisconsin. But in 1995, he returned to Cote d'Ivoire, there to cut his teeth on managing SIFCA as secretary general, gradually moving up to general manager of the Group in 2000. Following the death of his father, Pierre Billon, Jean Louis succeeded him as Chairman of the Board in December 2001. It is from that date in 2001, at the age of 37, that the career of Jean Louis Billon really takes off. Suddenly all his experiences and skills gelled, and he now had a platform from which to lead. In that year, he was appointed as advisor to the government, a position his father had held since the 1960s. In 2002, he was elected vice president of the UEMOA—the West African Economic and Monetary Union—and also vice president in the same year of the West Africa Francophone Consular Chamber. 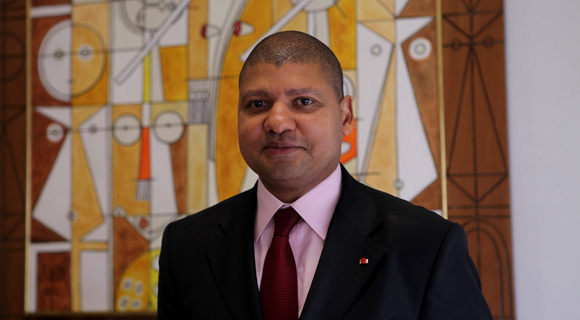 In 2004, he was elected vice president of the Permanent Conference of African and Francophone Consular Chambers. Both as advisor to the Ivory Coast government, and as an officer of these latter three organizations, Jean Louis Billon was ideally situated to speak to power about the needs of business and development. As a result of the instability and unrest that began after the Ivory Coast contested elections of 1999, Jean Louis Billon's involvement in bringing stability back to the Ivory Coast led him to take a more public role in the government of the Ivory Coast. In 2001, he was elected Mayor of Dabakala, the town of his (and his father's) birth. 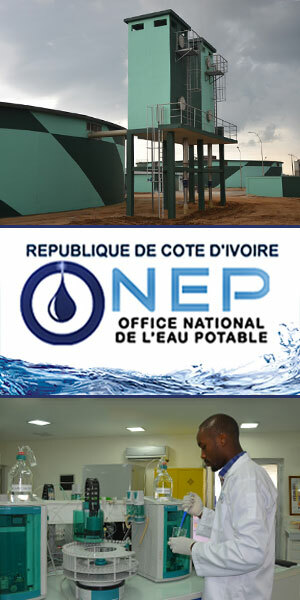 In 2002, he was elected president of the Chamber of Commerce and Industry of Cote d'Ivoire. He also became a member of the Ivory Coast Economic and Social Council, and a member of the several professional organizations, including the Federation of Industries and Services of Cote d'Ivoire, and the General Confederation of Enterprises of Cote d'Ivoire. His business associations also grew: he became Chairman of the Board of Directors of the United Bank for Africa (UBA), Cote d'Ivoire. In 2004, Jean Louis Billon took on a major role relative to the Convention of Ivorian Civil Society (CSCI), which was created in 2003 following the outbreak of civil war in the Ivory Coast in 2002. CSCI is an association consisting of various sectors Ivorian society including religious groups, unions, NGOs, and human rights organizations, whose purpose is to bring peace and stability back to the nation. Billon worked with members of this group to end the crisis by helping to develop scenarios that would enable the various factions to end the crisis. Subsequently, Billon was part of an international campaign to restore confidence and encourage tourists, businesses, and especially investors to return to Ivory Coast. As president of the Chamber of Commerce and Industry, Jean Louis Billon has performed and continues to perform his most dynamic role on behalf of Ivory Coast. In 2008, Billon traveled to France to make an impassioned plea for the return of French business interests to Ivory Coast to rebuild the economy. In 2011, Billon welcomed the Prime Minister of France to Cote d'Ivoire with a ringing speech entitled "Black Africa Wants a Reboot," emphasizing that French enterprises not only constitute over one-fourth of the total foreign investment in the country, but also account for more than one half of the tax revenues. In that welcoming speech, Billon stressed that, while France has never ceased to be the preferred trading partner of Cote d'Ivoire, a new day is dawning because Ivory Coast is one of the cornerstones of a new Africa that will be the theater of future global economic issues. "The Ivorian private sector wants a new partnership, not only for economic reasons, but also because today the world is responding to the logic of cooperation instead of to the logic of confrontation." "Everything is now so that we are left to face these challenges together. Europe shows maturity, Africa is rich in youth. European growth is less dynamic, while the need for growth in Africa is not even quantifiable. This continent under construction can only enjoy sustained growth for decades to come." Jean Louis Billon has not only been an advocate to foreign investors to invest in Ivory Coast, he has also been an outspoken advocate of the rule of law within Ivory Coast. These are the public roles that Jean Louis Billon has taken on. But what about his primary business role as chairman of the board of directors of SIFCA. Here, too, he has shown his leadership skills and dynamic qualities. SIFCA is a group resulting from the merger to two companies: Financial Corporation of the African Coast, and Real Estate Company Indene, which together specialize in real estate and marketing raw—primarily agricultural—materials. Initially SIFCA was involved in coffee and cocoa, but these were abandoned in 1999. Sugar, with SUCRIVOIRE in Ivory Coast. Since 2002, SIFCA has had a strategic partnership with Michelin in the rubber industry. IN 2008, NAUVU was formed to create a strategic partnership with two giant Singapore companies, Olam and Wilmar. Olam International is a partner in oil seeds, while Wilmar is a partner in palm oil. Together with Michelin, Jean Louis Billon oversees a consortium of companies that provide significant technical and international marketing expertise. As a result, Jean Louis Billon has continued the tradition of his father by expanding through strategic partnerships the global reach of the companies involved.